We’re excited to present a new app addition to our OverDrive service called Libby, that should make eBook and eAudio use quicker, more enjoyable and less complicated. Libby has been designed to make first time mobile use of our OverDrive collection simple, with added features over the OverDrive app that would be of benefit to existing customers. 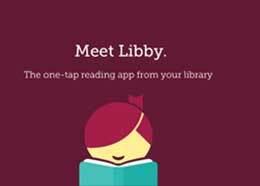 To get our new Libby app, click on this link for access in Android, iOS and Windows stores. Libby will not be replacing the OverDrive app but if you are a user of our existing OverDrive app, please feel free to continue using it. Libby does not currently support Recommend to Library or multilingual interfaces, but these features will continue to be accessible through the OverDrive app. Kindle format is not currently supported outside of US libraries. For more information on Libby please go to the Libby Help page or contact us through our Technical support form. We have tablets available to borrow! 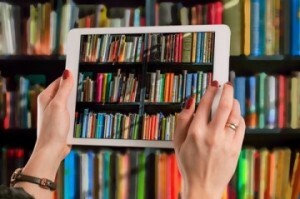 If your New Year’s resolution is to try out more digital services or borrow an eBook, read on! Adult customers are now able to borrow iPad minis for 3 weeks from the Second Floor desk at the Central Library. These are for customers who would like to become more familiar with the library’s eResources such as free eBooks (Overdrive), newspapers (PressReader), magazines (RBdigital), and other online resources. Loans are $5, and community card discounts will apply. Please make your booking, and a staff member will contact you to confirm your tablet pickup time. Tablets will be reset between each customer. Create and swap zines and art at the library! 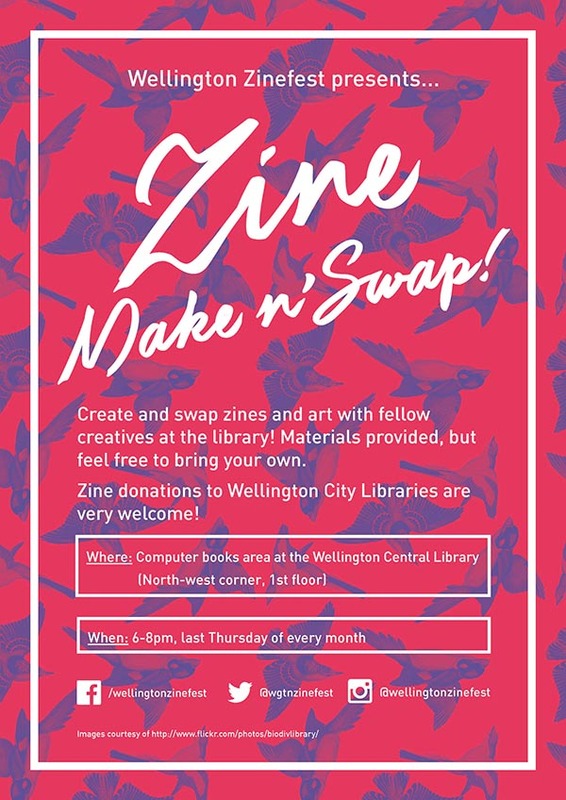 On the last Thursday of each month we’re collaborating with Wellington Zinefest to create a space dedicated to zines. Make, swap, browse and chat with fellow zine enthusiasts for a couple of hours and get your creativity flowing. Materials will be provided, but feel free to bring your own along too. There are also plenty of power points and USB chargers to keep your phones and laptops charged, if you’re working digitally. There is also a swap element – if you have zines you’d like to swap, bring them along and trade your creations. Swaps only, no sales. You may also choose to donate your completed zines to the library, which people will then be able to browse and borrow! Find out more about our zine collection here. Our first meet-up is this Thursday 26th July, from 6-8pm. See you there! From 5th March, on Thursday evenings we are trialling screening feature films from the library’s collection at the Central Library. Sessions begin at 6pm on the Ground Floor. These screenings are free to attend. The first few will feature films based on books. To avoid disappointment reserve your seat by telephoning 801-4068 during library opening hours. Note : reservations not taken up by the starting time at 6pm may be reallocated to customers waiting, as numbers are limited. EDIT: Thank you all for you interest in these events. We have special permission to screen these films for free in public libraries as long as we don’t advertise the film name online. Please call the Information desk (801-4068) to get more details about the film screenings.